Fitzgerald Insurances collect , store and process personal data in Ireland. •Fitzgerald Insurances will process information about you, your directors, officers employees and your beneficial owners (if applicable) in order to carry out anti-money laundering checks and related actions which Fitzgerald Insurances consider appropriate to meet any legal obligations imposed on it, or to pursue Fitzgerald Insurance’s legitimate interests, or public interests in relation to the prevention of fraud, money laundering, terrorist financing and to prevent the provision of financial services to persons who may be subject to economic sanctions. •Legal obligations: To retain AML and other records of individuals to assist with subsequent screening of them, including in relation to investment, insurance, or other services provided by Fitzgerald Insurances. Fitzgerald Insurances is required through various legislation to retain client information for specified periods. Where Fitzgerald Insurances require your personal information to comply with AML or other legal requirements, failure to provide this information means Fitzgerald Insurances may not be able to provide the services you request. 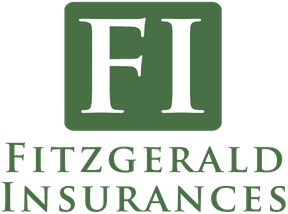 Fitzgerald Insurances may disclose information it has collected about you if required to do so by law or when necessary to protect the rights of Cullen Insurance or its employees. Data will not be held for longer than is necessary for the purpose(s) for which they were obtained. Fitzgerald Insurances will process personal data in accordance with our retention schedule. This retention schedule has been governed by the Central Bank of Ireland and our internal governance policy.